I just heard my dad gag all the way from Texas. My father, while otherwise perfect, is neither a fan of cold soup nor squash. I don’t know how we are related because I could live on gazpacho this time of year, and I love all things squash. You know those people who can’t wait for the pumpkin lattes to come back each autumn? I’m like that, but with butternut, acorn, spaghetti — hell, even zucchini. What I’m trying to say is we eat a lot of squash at our house. This week: cold roasted squash soup. I slow roasted two long crookneck squash, some parsnips and onions with a bit of olive oil and salt and pepper. Then, adding what remained of the turkey chicken broth, I threw it all in the blender with some paprika. It is delightfully good. I added a dollop of sour cream and hot sauce to the top and just drank a jar for lunch. It was cold and rich and a little spicy. Because that’s how ladies do it. We drink our soup right from the hipster jar. This is one of several meals I’ve got planned for the week that is bright and cheery and secretly full of so many vegetables, we’ll all be hopping around like Nutmeg (the beloved bunny) soon. Do you love the savory, spicy, sweetness of a good mole? Me too. I also love to figure out how to replicate great Mexican recipes at home, with a healthier twist. This mole recipe couldn’t be easier or better for you. What’s the catch? Well, while I do think this recipe is easy, it is a bit time (not work) intensive. Start by making your own broth. I used what was left of our frozen Thanksgiving turkey, some parsnips, celery, carrots, garlic and onion. I let this cook low and slow with bay leaves, peppercorns and a dash of sea salt for several hours. Does anything make a house smell like home more than broth slow cooking on the stove? NOM. Let the liquid gold cook down for as long as you have the time. I like to make broth on the weekends when I both need to do a refrigerator check up (what do we need for the week? 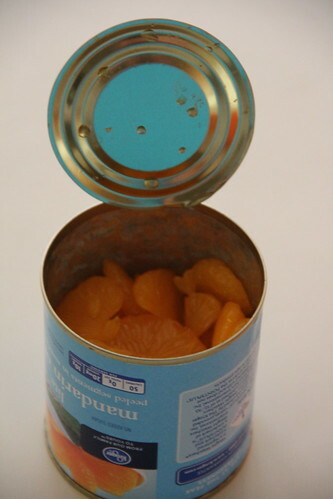 What do we need to eat now?) and have time while I’m working on other chores. I get wrapped up in doing laundry, watering the garden, planning the week’s meals and ironing all while the broth simmers away. See? Time intensive — definitely. But it isn’t like I’m doing a darn thing after I’ve put it all in the pot other than paying the electric bill. This is where the easy part sinks in: Throw it all in the pot. Let it simmer for 30 minutes. Put it all in the blender and blend until smooth. That’s it! I’m using this sauce to make red chicken enchiladas this week. There is so much of it, we’ll likely use it as a sauce to roast a pork loin too. The sweet potato adds an earthy sweetness that is delightful. I could sit down and eat a bowl of this, topped with a bit of sour cream and Sriracha. It made me very happy to leave this on the doorstep of a close friend. I love being able to share the literal fruits of our garden. This week, I’m cooking orange marmalade pulled pork in the Crockpot. Onions, garlic, a leftover jar of jam, a pork roast, with a dash of cayenne and pepper to taste, for 12 hours on low. Mmmm… mushroom risotto. That is my ultimate comfort food! Like it did when I made these chocolate cupcakes for our family weekend — and none were eaten. I sent a dozen home with a guest and gave a couple others to friends. Thankfully, the patient pepper plant is still sweetly producing these mild peppers like a champ. They find their way into just about everything. Like this chicken stock. I see risotto in our future. Mmmm… risotto. This weekend was a big one for our family; my dad turned 60 and my cousin Kate got married. My family came in from Colorado and Texas to celebrate both occasions. Friday night we had a dinner for my dad, who of course wanted everything low key and easy. Costco pizza, salad and pie — with surprise guests. My parents’ closest friends joined us for the easy family dinner. It was what Donley dinners often are: a contest of who can tell the funniest story the loudest. We are certainly not a shy bunch. Nelson didn’t get pie, but did make sure his grandpa got proper 60th birthday cuddles. Needless to say, I loved it. It was wonderful to catch up with family too, especially this stinker. My grandfather just turned 88. His filter is gone, and he had no problem telling people to “get out of his way” when he approached on his motorized scooter. Ah, family. My grandmother would have loved the weekend. She was there with us in many ways. 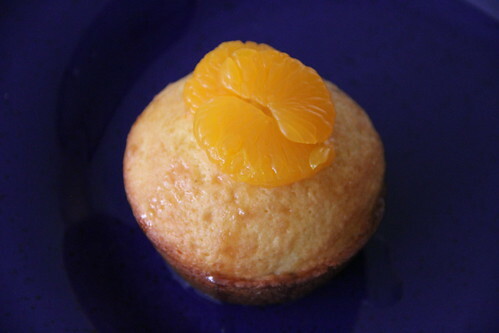 I mentioned the other day how much I loved the movie, “The Secret Life of Walter Mitty.” There is a clementine cake mentioned in the film — one I’ve tried to reproduce. Heat oven to 350. 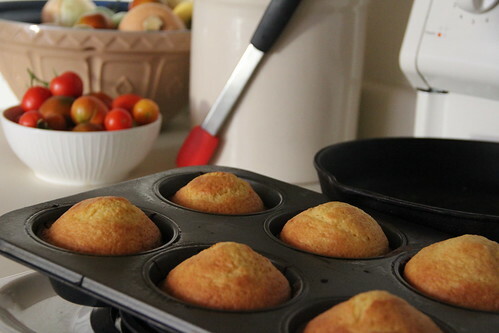 Grease large cupcake tins, or a bundt pan. Cream sugar and butter. Add eggs. Slowly add in cake flour, vanilla, cardamom, and remaining ingredients. Bake for 32 minutes (cupcake tins) or 35-40 minutes (bunt pan). 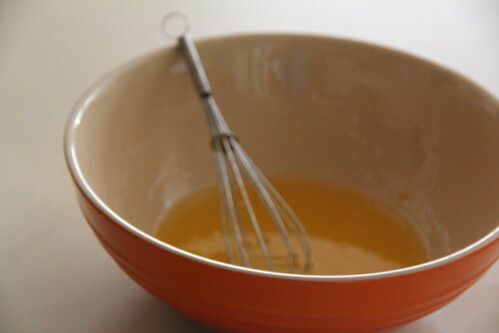 While baking, whisk juice from can of mandarins and powdered sugar. 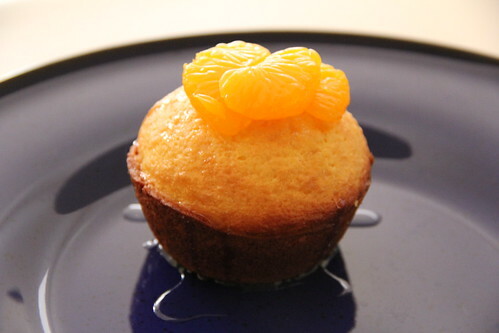 Once cakes have cooled, spoon glaze over top, adding a mandarin or two for garnish. Preheat the oven to 350. Cream butter and sugar. Add dry ingredients, adding bananas last. Pour into a greased casserole or bread pan. Bake 45 minutes, or until brown. If possible, pull out of the oven just as house guests are awaking. Serve with coffee, tea or a cup of milk. 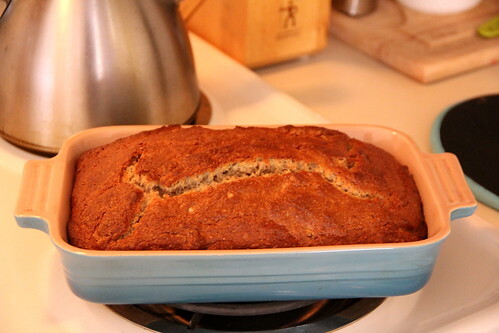 This bread is especially good with almond butter. You will be cherished, no matter how hard the mattress was, or, say, how loud the neighbor’s rooster was at 3 am.